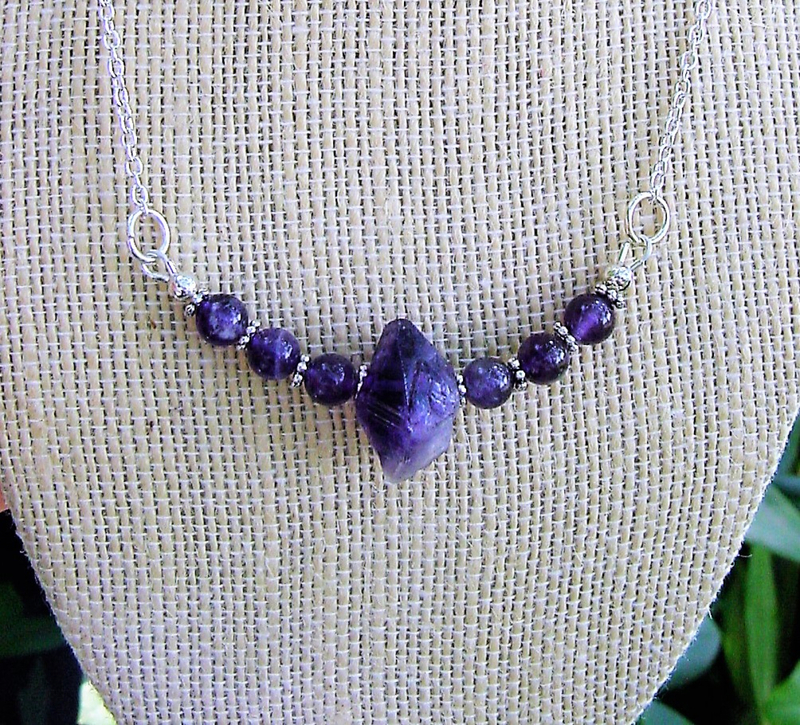 I used 6mm Amethyst stones and Untumbled Raw Amethyst in the center. Chain length is 16.5 - 17 inches (let me know if you'd like an extension for longer length! 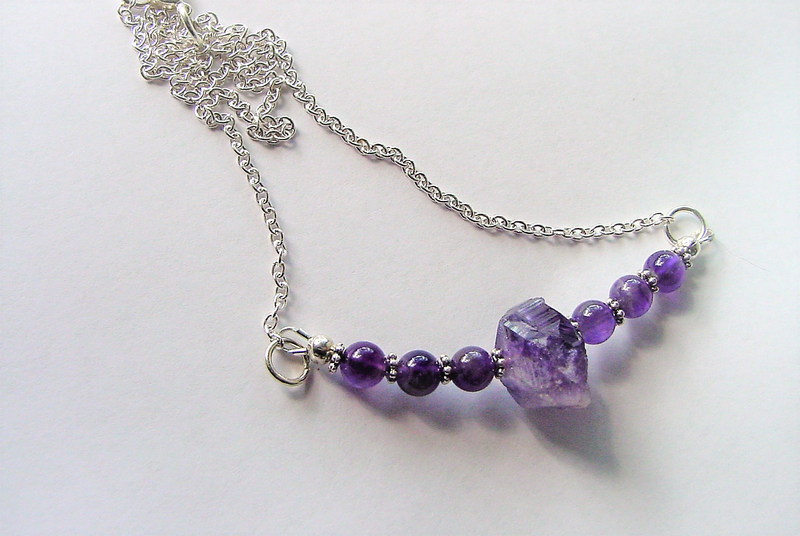 Amethyst is known for it's healing properties. Amethyst is a powerful and protective stone an activates spiritual awareness, opens intuition and enhances psychic abilities. It has strong healing and cleansing powers. It calms and stimulates the mind, helping you become more focused, enhancing memory and improving motivation. 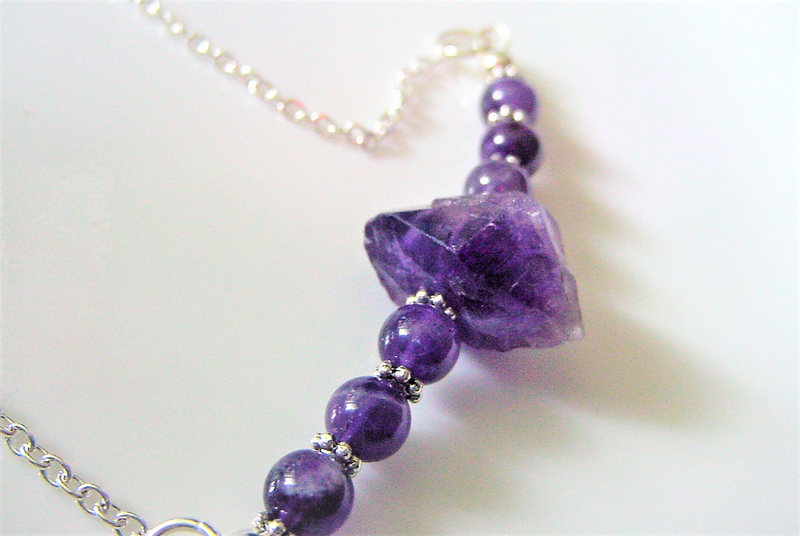 Amethyst assists in remembering and understanding dreams. Encourages selflessness and spiritual wisdom.